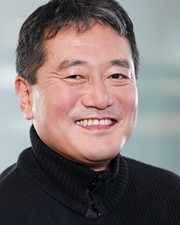 Masahiro Uenom, former President of ad targeting and retargeting specialist Criteo in Japan, has been hired by data-driven traveller marketing firm Sojern as Vice President of Asia-Pacific (APAC). Sojern's Traveler Platform collects real-time intent data on consumers' searching and booking behavior, and uses machine learning to target ads to only those travelers who are in the market to buy a specific service or offering. The firm's Data Store contains more than 350 million unique traveler profiles, created by ingesting billions of intent signals, including first party data, which is then processed through a combination of machine intelligence and human curation. It also provides reports and insights on global travel trends. Ueno (pictured) joins from Internet media, news and entertainment company BuzzFeed Japan, a joint venture set up by BuzzFeed and Yahoo Japan, where he served as the first CEO. Prior to this, he worked for Criteo, in charge of the APAC area; and he held President/CEO positions at cloud-based performance marketing solutions firm Become.com; ad targeting firm Overture; and Google's former ad services business DoubleClick. In his new Singapore-based role, Ueno will oversee growth across the wider APAC region, also including Hong Kong, Australia and New Zealand. Chief Revenue Office Stephen Taylor comments: 'Masahiro has a proven track record of success in APAC. He has clearly demonstrated his expertise in building high performing organisations that combine the right blend of people, processes and technology in a rapidly evolving digital market. We are delighted he will bring his strong leadership, digital expertise, and operational discipline to further accelerate growth and build on the current momentum Sojern has in the region'.